No books were harmed in the making. We were asked to do an event at our local bookstore in Astoria using damaged books and this was one of the projects. 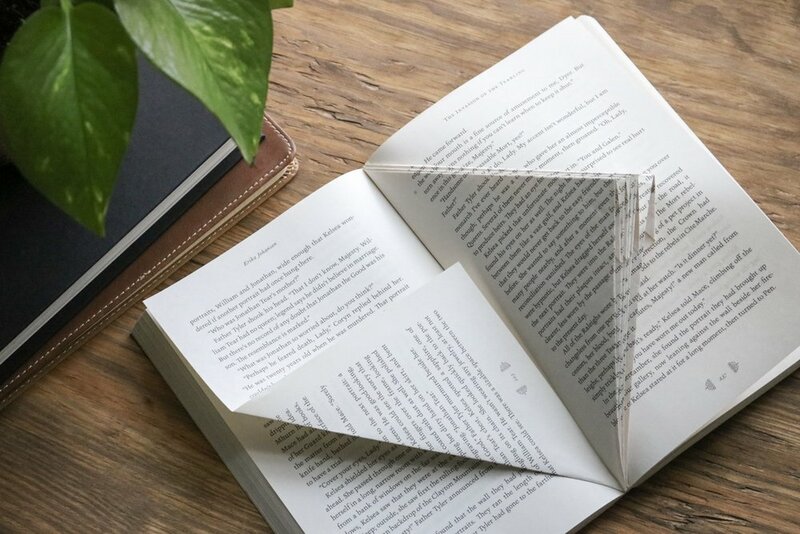 Grab an old book over 180 pages, take off the cover and bend the spine to help loosen it. Start by folding the bottom corner of a page toward the center of the book. Then take the top corner and fold toward the center of the book to form a triangle. Just keep folding, just keep folding! 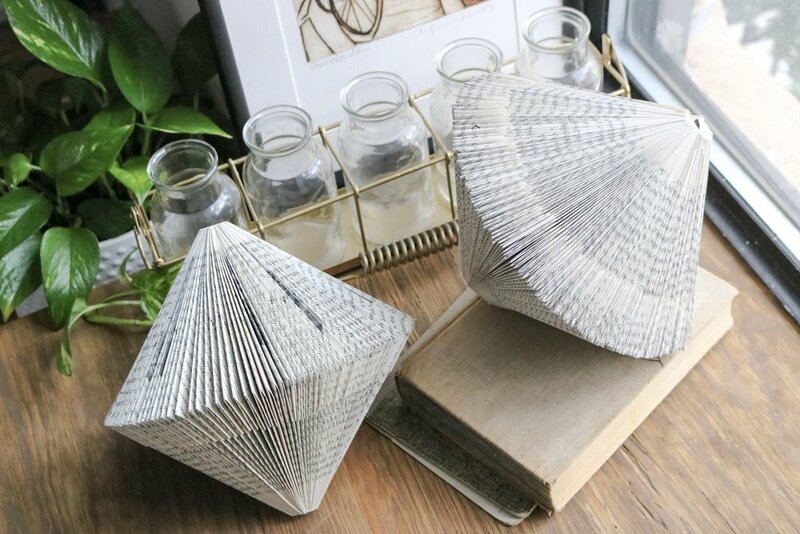 The perfect project while binge watching! Hot glue the spine together to help keep it's shape! We're SO ready for fall!